At National Pestmobiles, we realize the financial personal investment you have made with the purchase of your new MistAway Mosquito Misting System. We want you to be fully knowledgeable of the system and all its benefits. Below we have incorporated this page so that it will provide answers to some of the questions you have about your new mosquito misting system. If you have further questions or we can be of any assistance, please feel free to contact National Pestmobiles at (214) 341-1498. Or Click Here! How does the MistAway Mosquito Misting System work? The MistAway Mosquito Misting System works by applying a very fine mist of botanical insecticide through nozzles installed around the perimeter of your property. The mist settles on the grass and landscaping, killing any mosquito that comes in contact with it. It will also kill flies, gnats, spiders, roaches and ants. The MistAway system consists of stainless steel nozzles that are connected by nylon or copper tubing and are installed on the eaves of your home and fence line. Utilizing a pyrethrum insecticide mix, a holding reservoir regulates the release with a digital timer and high pressure pump. The pyrethrum insecticide mix, which is derived from natural chrysanthemum flowers and are extremely low in toxicity. Pyrethrum is also considered a "general use" insecticide and is biodegradable. Pyrethrum has been used for many decades for the treatment of fruits and vegetables as well as treatment for insect sensitive foods like tomatoes as they are being sent to grocery stores and other retailers. The system is programmed to automatically spray at dusk and dawn when mosquitoes are most active. What makes the MistAway system different from other mosquito misting systems? The MistAway System has a fully automated digital display panel and is the only mosquito misting system of its kind. This mosquito misting system uses a level sensing float switch, agitator, pressure switch, 3-button remote control, and is the only system available that detects a leak in the nozzle circuit. Leaks can be created by careless yard work or even squirrels. If a leak is detected, the LED light on the outside of the unit will blink and future mists cycles will be suspended until fixed, saving you money on wasted insecticide. What are the advantages of a mosquito misting systems? A Fully Digital System - The MistAway Mosquito Misting System is a totally digital system which counts the misting and remote cycles so that you have continual protection against flying insects which may cause hassle to your outdoor living. Battery Backup - If for any reason you should lose power, you can have the peace at mind that your MistAway Mosquito Misting System will continue to operate utilizing a battery system. No Drip System - The positive high pressure nozzles prevent dripping so that you are not using the pyrethrum insecticide excessively. Remote Access - The MistAway Mosquito Misting System is equipped with a hand-held remote so that you have the convenience of "on-demand" access should you need some extra protection. Pyrethrum Agitation Device - This state-of-the-art device continually mixes the insecticide so that the pyrethrum does not separate from the rest of the insecticide and compromise the potency of the chemical. Water-Resistant Covers - The covers of MistAway Mosquito Misting System are water- resistant and protected from the harsh activities of the weather. Multiple Size Reservoirs - Because the MistAway Mosquito Misting System can be custom designed, its reservoirs are available in a variety of gallon sizes. Reservoirs are available from the smallest at 25 gallons, to 30, 55,125, and the large 250 gallon size. Premium Quality Pump - The MistAway Mosquito Misting System is equipped with a high performance pump that features an impressive 1/2 hp. Premium Quality Stainless Steel Fittings - The MistAway Mosquito Misting System uses only stainless steel fittings so that you can be rest-assured of a maximum lifespan of your new mosquito misting system. Premium Quality High Pressure Polyvinyl and Copper Tubing - The MistAway Mosquito Misting System uses only premium quality tubing so that you can enjoy all the benefits of your new mosquito misting system for many years. Stainless Steel Misting Nozzles with built in Filters and Check Valves. All Risers and Their Tips are Made of Copper Instead of Plastic or PVC Pipe. Your New Mosquito Misting System Designed by National Pestmobiles is Protected by a Complete Warranty and Customer Service Promise. What does the automated digital display do? The automated digital display is the brain of the MistAway Mosquito Misting System. Though other control panels have been designed from other industries, the control panel of the MistAway was specifically designed only for MistAway Mosquito Misting Systems. Why is an agitator so important? Chemical which have emulsifiers to remain in suspension will tend to separate over time. The agitator allows the insecticide to remain well-blended for a consistent spray every time. The remote control allows you the convenience to turn the system on or off and also treat in between mist cycles. Is pyrethrum harmful to pets or children? Pyrethrum insecticides have been used in agricultural and equine applications for almost 25 years with no harmful effects. Other over-the-counter insecticides contain petroleum distillates, oils and solvents that can be harmful. Will pyrethrum hurt my plants? Our recommended pyrethrum insecticides do not contain petroleum distillates that have known to cause photo toxicity; this is not true of other pyrethrin products. There are some ultra-sensitive plants that are slightly more susceptible to damage. You can have the peace of mind that our experts will design a system that will be safe around these types of plants. How often do I need to refill my system? Depending upon the amount of usage, your mosquito misting should only have to be refilled 3-4 times a year. Will pyrethrum stain or leave a sticky residue? Absolutely Not! The chemicals of the MistAway system are completely biodegradable and will never leave a sticky film or residue. However, synthetic pyrethrins, which contain oil, do have a tendency to stain certain surfaces. Do you use "pyrethrins" and synthetic pyrethrins "pyrethroids"? Under a normal circumstance installation, absolutely not! However, if we are installing in areas such a horse stable, then we would use the synthetic pyrethrins due to fact that the water-based chemicals will not adhere the coarseness of the horse’s mane and tail where mosquitoes may be attracted. In residential installations, the water based, pyrethrums are more than sufficient at controlling insects, so there is no need for oil-based pyrethrins. How long will it take for the system to be effective? You should be able to see results with the first misting application. Our experts at National Pestmobiles setup your system to mist one or two extra cycles during the first two weeks, due to a two-week life cycle of mosquitoes. After the initial two week program, the system will go into a maintenance mode of only a few mist cycles a day. You should notice a 100% reduction of insects by the end of the first two weeks. Can I turn the system off and on if I don't want it to mist? Yes, the remote system and the control panel allow you an option to turn the system of and on as you desire. What maintenance does the MistAway Mosquito Misting System require? National Pestmobiles offers a maintenance program in which we will check your system and perform any maintenance as needed. During our inspection we will check the pump, motor, and electronic control board to ensure that your mosquito misting system is working at its maximum potential. We will also clean all filters and the pump, and check risers and lines to ensure all are properly buried. We hope this page has been helpful and has answered at least some of the questions you may have about the MistAway Mosquito Misting System. 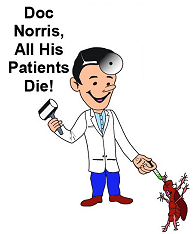 If you have any questions or would like to schedule a consultation with one of our specialists, please feel free to contact National Pestmobiles at 214-341-1498. Or Click Here!